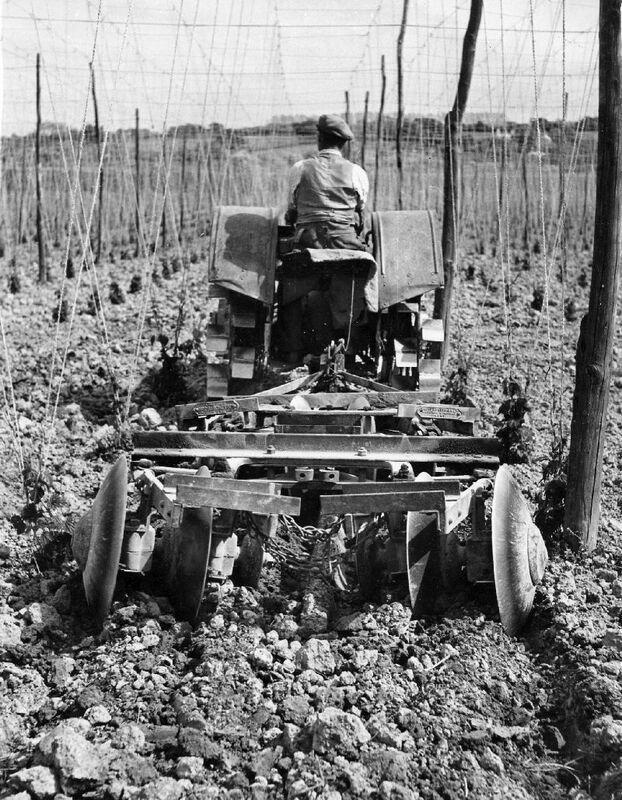 After the stringing was finished there were many jobs in the hop garden as the hops started to grow. 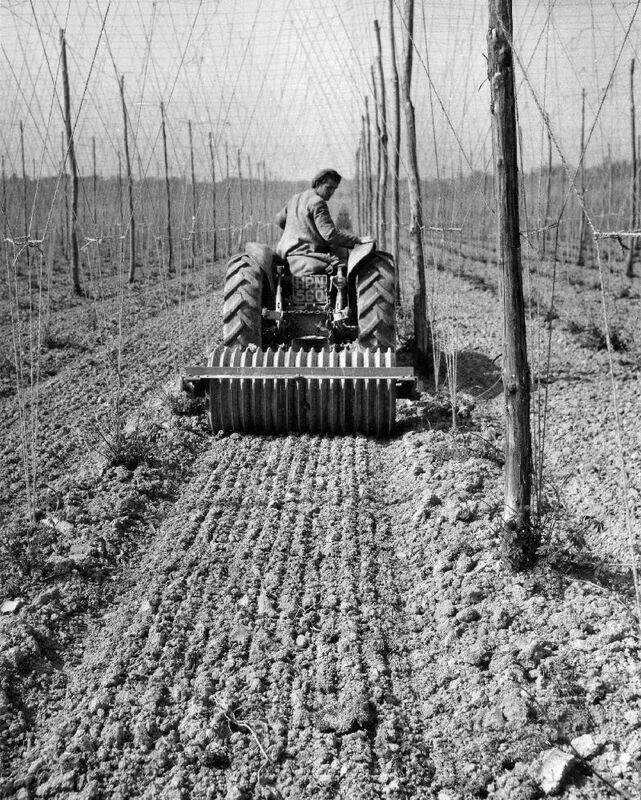 There is a separate section on Hop Training so this section concentrates mainly on the tractor work. 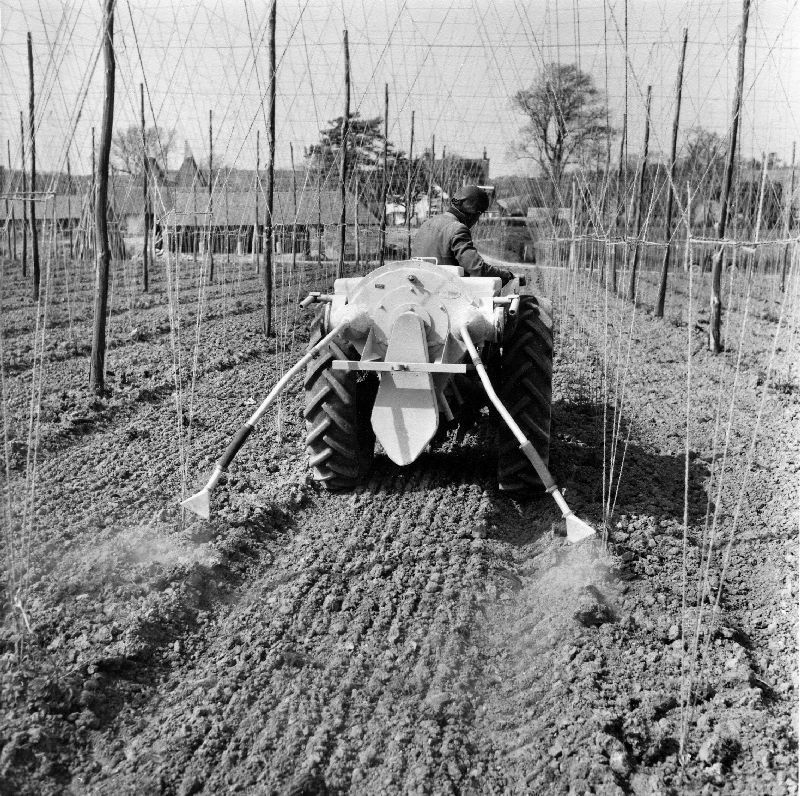 The photos below show how the ground in the hop gardens was cultivated. 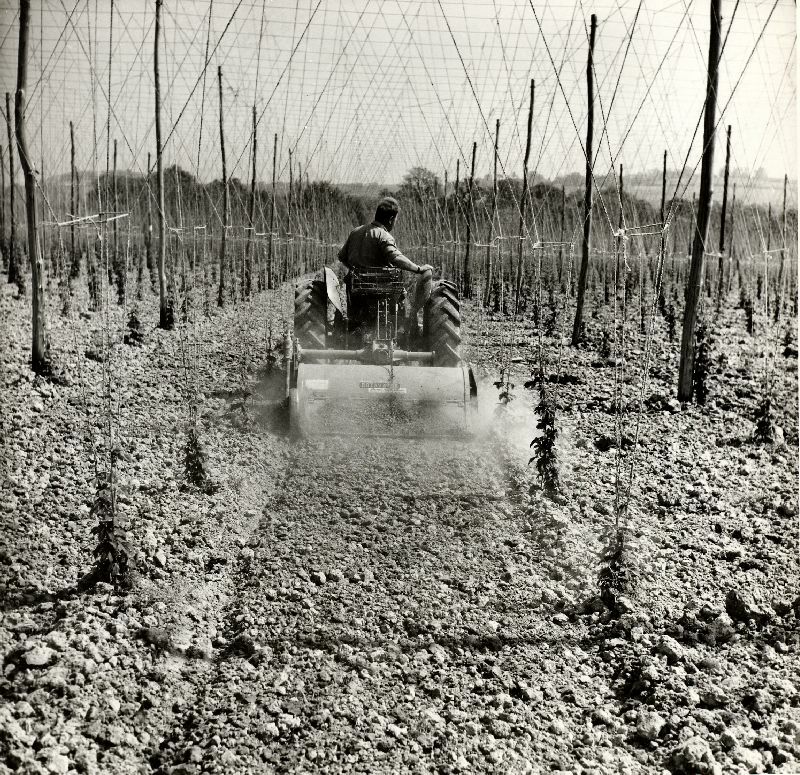 Firstly the aisles would be disced as shown below.